Secrets of the Crystal Silence League Book Questions and Answers. 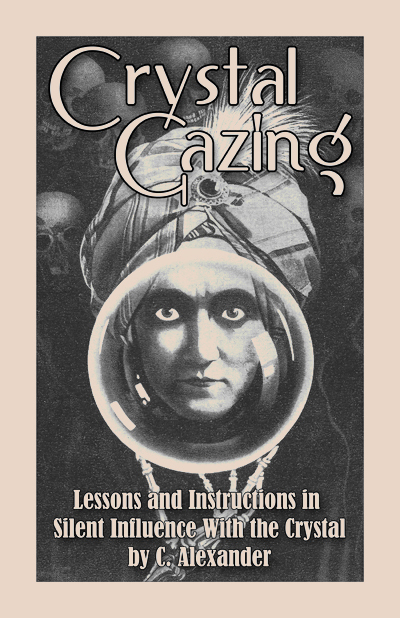 This brief book, written by C. Alexander in 1919 and revised by The Crystal Silence League in 2011, concisely explains the proper use of a Crystal Ball to send and receive supportive affirmations and prayers, tells how to "go into the Silence," instructs in the development of mediumship, and presents positive spiritual techniques to overcome harmful habits. 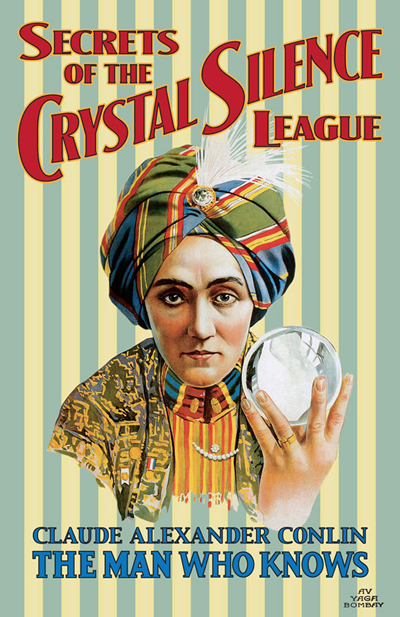 This brief book, written by C. Alexanger in 1919 and revised by The Crystal Silence League in 2012, concisely instructs you the proper use of a Crystal Ball in the development of mediumship and psychic abilities and offers a guide to the employment of the Crystal as a tool for the masterful transformation of your inner and outer life. Re: Secrets of the Crystal Silence League Book Questions and Answers. Hurray! At long last, the two booklets mentioned above are being compiled into a beautiful, fully illustrated 96-page book -- "Secrets of the Crystal Silence League," edited by cat yronwode and Deacon Millett. 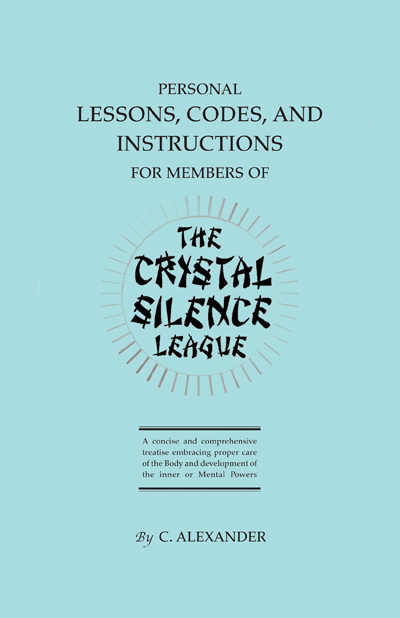 "Secrets of the Crystal Silence League" will go on sale to the public on May 13th at the low price of $9.00 per copy. Our new book, "Secrets of the Crystal Silence League" by Claude Alexander Conlin, The Man Who Knows, is fully illustrated with gorgeous vintage pen-and-ink illustrations of crystal balls and crystal gazers of the past and it is available for PRE-ORDERS now! It will be given away to all attendees of the 2019 Hoodoo Heritage Festival on May 11-12, 2019, at a workshop presented by Jon Saint Germain, The Voice of the Crystal Silence League -- and will be shipping to the general public the week of May 13th, 2019. PRE-ORDER now for earliest delivery.